I know that the word ‘Vintage’ is bandied about a fair bit these days. I believe that this is a direct reaction to the excesses of the past couple decades and our desire to try to hold on to the fading nostalgia of the post-war era. We humans do tend to cling to the romance of past ages – even if this is not factually correct. The thought of getting your hands on a manual typewriter or an aged globe or perhaps even a roughed up suitcase from bygone days – how wonderful would that be? Just old, everyday items that we now value but only a little while ago we were throwing out to be replaced with shiny, new versions. 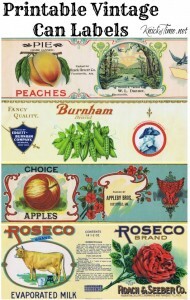 And someone who ‘gets’ this nostalgia is Angie from the Knick Of Time, who is such a generous blogger, and has recently posted some FREE printable vintage labels. 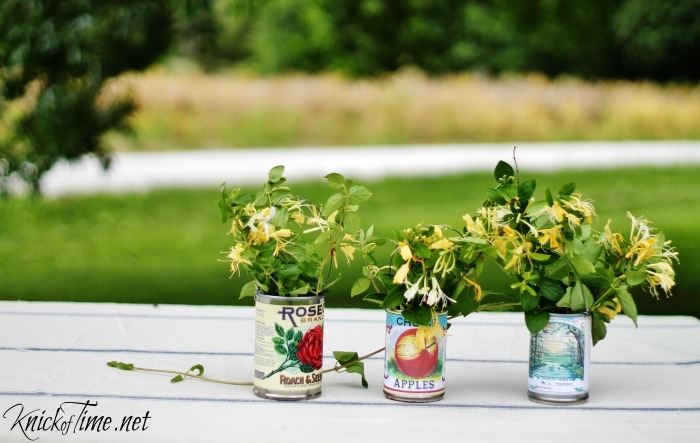 But that’s not even the best bit . . . . Angie always has the most wonderful link parties, and this post is no exception. 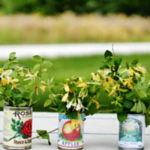 Lots of inspirational ideas to stop you from throwing your washed aluminium cans into the recycling bin, and using them in your garden or home instead. Go on . . . trot over to Knick Of Time and lust after some the images and tutorials. 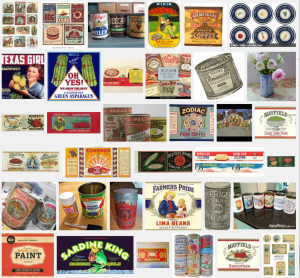 If you love the idea of some more vintage labels, then check out the Google image search that I did, and perhaps print off a few more images. And if you do make something cool or retro or just fun – then you MUST tell me about it. Leave a link in the comments so I can check out your Creations.